Part Exchange - Our part exchange schemes enables you to buy the house of your dreams – worry-free! The kitchen, family and breakfast room features French doors to the rear of the home. At the front of the home there is a dining room and living room. 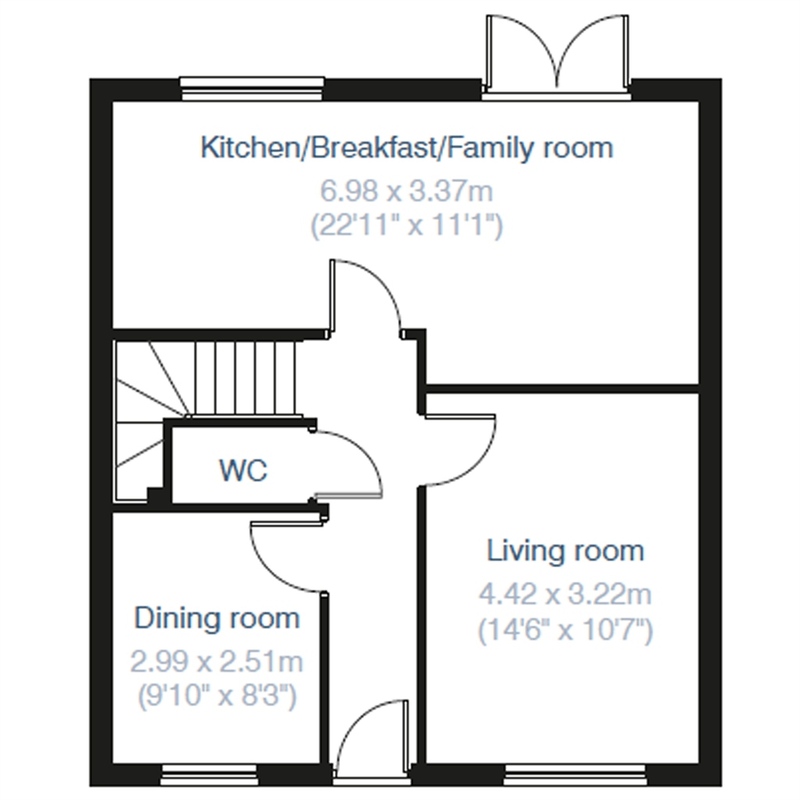 The first floor features four generously-proportioned bedrooms and a family bathroom. The master bedroom has an en suite. A 10-year warranty is provided with every new Charles Church home. A comprehensive guide explaining the warranty will be supplied to you. 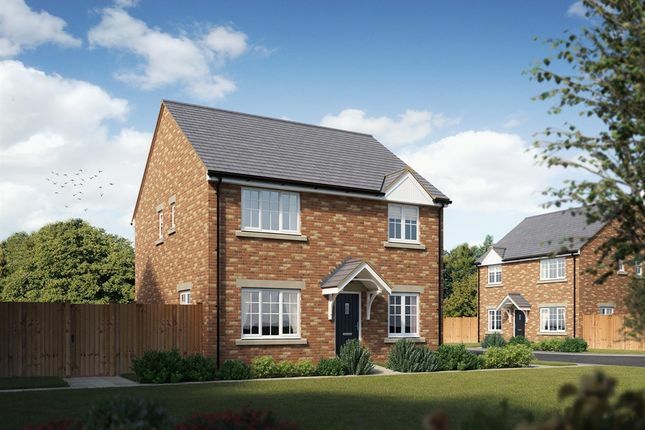 The development is located to the east of Bridgend in an ideal position for commuting as the M4 is only 2 miles away, with Cardiff and Newport to the east and Swansea to the west. Glen Gardens is also within easy reach of Bridgend train station which provides speedy journeys to Cardiff and beyond. Arrange an appointment today to find your dream home! For those who enjoy an active lifestyle, this is the place to be. There are many ways to explore the beautiful countryside, with routes available for horse riding, cycling or walking to suit all abilities. 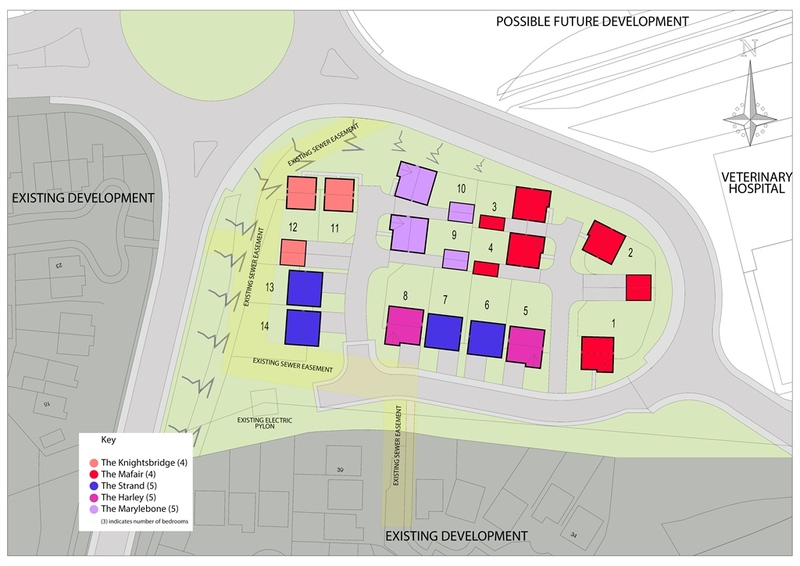 The area also has a good selection of outdoor facilities including a rugby and football pitch, basketball court, skate park, childrens' play parks and six outdoor fitness stations. If you want a different type of green then there are some fantastic golf courses to enjoy here as well. The 18-hole Royal Porthcawl hugs the coast with great sea views from most holes while the Pyle and Kenfig Golf Club combines glorious views on an undulating links course with natural hazards of hillocks, valleys and dunes. Nearby porthcawl on the coast is at the centre of a collection of beaches stretching for miles. There's plenty of great schools in the local area including coety Primary school, which is a Brand new school located on the Parc derwen Development. There's also ysgol gymraeg bro ogwr just 0.3 miles from Glen View Gardens, which is a welsh primary school. Together with its fantastic location and wealth of local amenities means Glen Gardens could be your ideal place to call home. The main pedestrianised shopping area in the town offers a wide selection for all tastes and styles, from high street favourites to unique specialist shops and boutiques. In addition, The McArthurGlen Designer Outlet - less than a 5-minute drive from Glen Gardens - is the largest outlet of its kind in the country with a beautiful setting of cafes and was well as a nine-screen cinema. Glen Gardens lies just over 2 miles from Junction 36 of the M4 motorway and has convenient access to the M4 for both West Wales and England. The cities of Cardiff and Swansea are easily accessible for commuting as they're approximately a 30-minute drive away. The coast is also within easy reach as the seaside resort of Porthcawl is just 7.7 miles away. Bridgend train station is just 1.5 miles from the development and boasts quick routes east towards Cardiff and west towards Swansea – ideal for commuting or days out. For destinations further afield, Cardiff airport is approximately 30-minute drive away. Bridgend is home to the Princess of Wales hospital which is just 0.7 miles from Glen View Gardens, complete with an Accident and Emergency department. Glen View Gardens is 2 miles from junction 36 on the M4. Images depict typical Charles Church house type. All room dimensions are subject to +/- 50mm tolerance. This information is for guidance only and does not form any part of any contract or constitute a warranty. All information correct at time of publication and is subject to change. Please check specification by contacting the development directly. 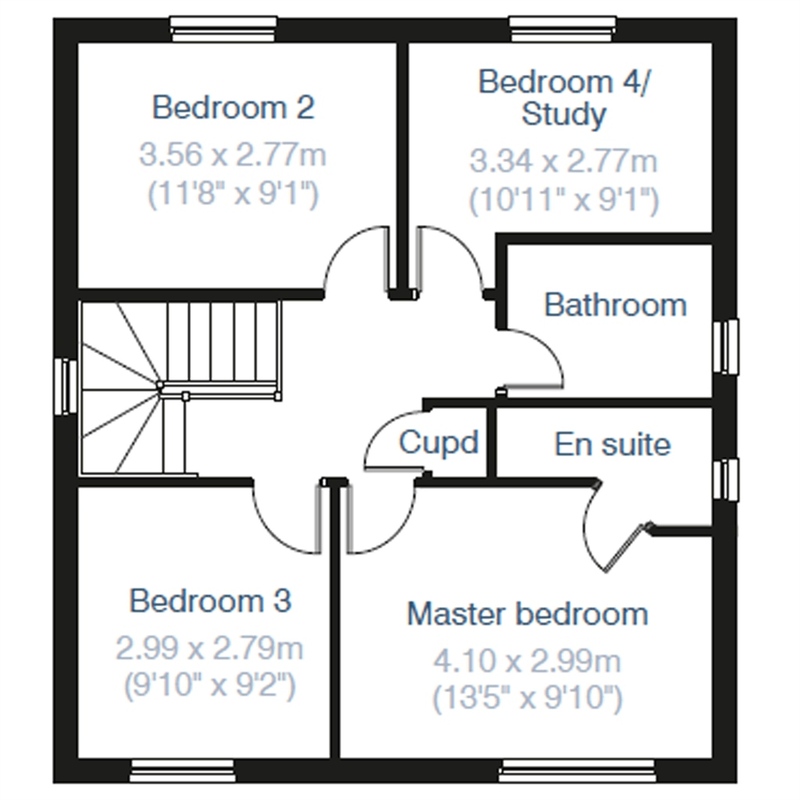 Property descriptions and related information displayed on this page, with the exclusion of Running Costs data, are marketing materials provided by Charles Church - Glen Gardens, and do not constitute property particulars. Please contact Charles Church - Glen Gardens for full details and further information. The Running Costs data displayed on this page are provided by SmartNewHomes to give an indication of potential running costs based on various data sources. SmartNewHomes does not warrant or accept any responsibility for the accuracy or completeness of the property descriptions, related information or Running Costs data provided here.